As part of its beef traceability campaign, M&S has rolled out a summer menu showcasing its traceable UK-only beef and Winchester Bloggers was invited to try two of the dishes. Where does your food come from? It’s a question more of us are asking as we become mindful of not just the quality, but also the origins of the produce we put into our bodies. What’s better than quality steak and chips? It’s a classic dish for good reason, yet the ace up the sleeve of version was the incredible salsa verde. Packed with lime, coriander and basil, this zingy salsa was vibrant and proved to be the perfect accompaniment to the beautiful steak. It was easy to make too - less than 15 minutes from start to finish - and the effort making the salsa and cooking the steak to perfection was rewarded. From the classics to the experimental this dish immediately appealed to us on accounts of sounding extremely exotic for a Wednesday evening meal! It proved to be a great choice. The dressing and salad were quick to make and offered outrageously good flavours: citrus, chilli and fresh herbs perfectly suiting the warm summer evening. The meatballs coated in sesame seeds offered a lovely contrast of texture and flavour. Eating from a lettuce cup was inspired - rather than the usual bread accompaniment, the more subtle lettuce allowed the other flavours to take centre stage. 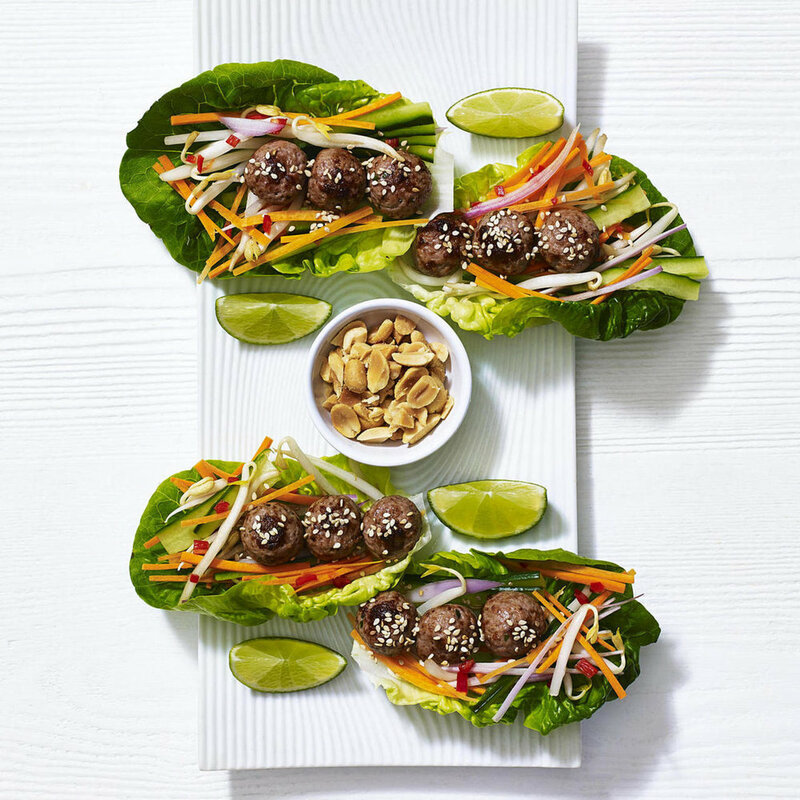 If you’d like to try any of these recipes, click the titles above for the full list of ingredients and method, plus you can find the other exciting dishes M&S has created. You can also learn more about the M&S beef traceability campaign here.